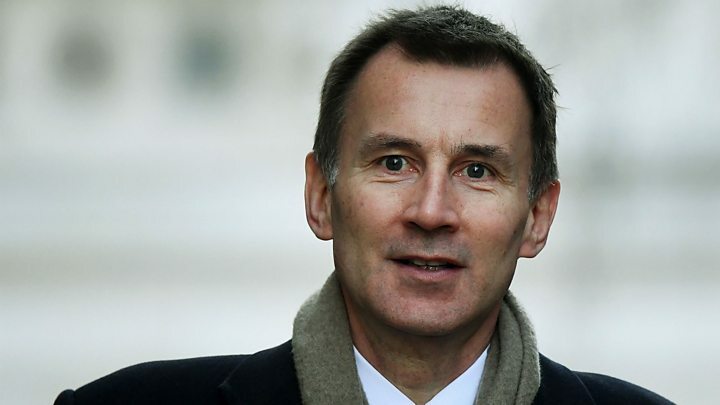 Foreign Secretary Jeremy Hunt has warned the UK faces "Brexit paralysis" if MPs reject Theresa May's EU deal. He said two Commons defeats this week showed Parliament was "committed one way or another to try to stop no-deal". But that would risk "no Brexit", he argued, which would be a "breach of trust" with the public. 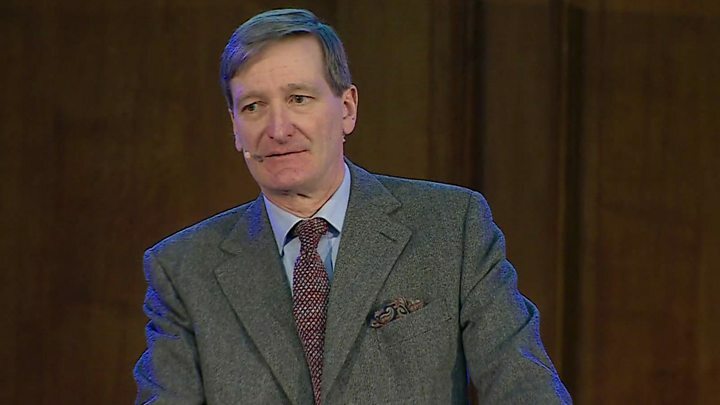 Tory rebel Dominic Grieve said it was the duty of MPs to "stop people committing national suicide" by going ahead with a no-deal Brexit. He told a rally of supporters of another referendum in London that while the prime minister had done her best in negotiating the deal to honour the referendum result, while minimising the damage, the "unpleasant truth" was that "it can satisfy no-one". "There is only one way out," he said. "When the prime minister's deal is defeated, what else can we possibly offer to the British public which has any coherence at all but to go back and ask them to reconsider their decision?" Mr Grieve, who tabled the amendment that led to a government defeat on Wednesday, has been at the forefront of cross-party efforts to ensure MPs have a say in what happens if Mrs May's deal is rejected. The prime minister is widely expected to lose next Tuesday's vote on the withdrawal deal negotiated between the UK and the EU - with more than 100 Conservative MPs and the DUP, which usually support the Conservatives in Commons votes, among those set to vote against it. Labour will also oppose the deal but leader Jeremy Corbyn has resisted growing calls from within his own party to get behind another EU referendum, insisting a general election is still his top priority if the deal is rejected. Speaking to BBC Radio 4's Today programme, Mr Hunt said it was clear the Parliamentary arithmetic was "challenging". "We have a government that is committed to delivering Brexit, but it doesn't have a majority and we have seen this week that there is a Speaker who is willing to frustrate the government at every opportunity." Commons Speaker John Bercow has been accused of bias by some Tory MPs over his decision to break with Parliamentary precedent by allowing a vote on Dominic Grieve's amendment to a government motion, which handed MPs more control over the Brexit process. Mr Bercow said he was acting in the interests of MPs and had made an "honest judgement". In a shift of tone, apparently aimed at winning over Brexiteers who are determined to vote Mrs May's deal down, Foreign Secretary Mr Hunt also warned that defeat for the government on Tuesday would not lead to them getting the kind of Brexit they wanted - and could lead to Britain staying in the EU. "If this deal is rejected, ultimately what we may end up with is not a different type of Brexit but Brexit paralysis. "And Brexit paralysis ultimately could lead to no Brexit. "I'm saying this would be (an) incredibly damaging breach of trust and it would also be very bad for Britain's reputation abroad, having decided to leave the EU, if we in the end for whatever reasons found we weren't able to do it." He acknowledged that MPs opposed to Brexit were flexing their muscles, telling Today: "After this week the idea that Parliament is going to do nothing at all is highly unlikely." But he rejected the idea of holding a series of votes to find out what kind of Brexit MPs would support, as some have suggested, claiming there was no consensus for any alternative to Mrs May's plan. "Everyone's had a crack at what they thought was their top outcome but we are all democrats and we have a responsibility to deliver the outcome the British people voted for." The PM's deal was "not perfect" but it did "broadly deliver Brexit", despite arguments about the Irish backstop, he added, and urged MPs to "come together" to back it. He was speaking as MPs prepared for the third of five days of debate on Mrs May's deal, with Home Secretary Sajid Javid opening proceedings. Shadow Home Secretary Diane Abbott pointed to a warning from former MI6 chief Sir Richard Dearlove and former Armed Forces chief, Field Marshal Lord Guthrie that the deal negotiated with the EU would threaten national security. She told MPs that Labour was "committed to honouring the referendum vote" but added: "This deal, as it stands, potentially abolishes the complex and highly-effective co-operation that has been established between this country and other members of the EU in the areas of freedom, justice and security."